Red Box Wii Nights Winner! Remember that Red Box Wii Nights Party Giveaway? Well, I ran everyone’s entries through the list randomizer on Random.org and have chosen a winner! Congratulations to Mr. 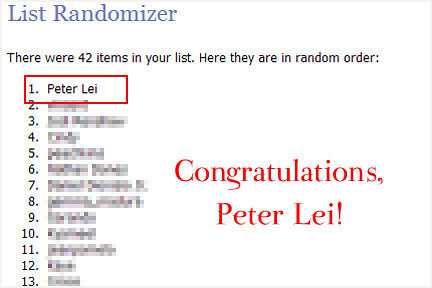 Solid Snake, Peter Lei for winning the Red Box party package! The party package includes entrance for up to five people, free food from the buffet and up to two free drinks per person! How awesome is that? Thanks once again to Red Box and GeiserMaclang for making this giveaway possible. 3 Responses to Red Box Wii Nights Winner! Oh my goodness, my hubby actually won a raffle… that just like… never happens. Thank you thank you!!!! Soon. There’s one in the works, to welcome the New Year.